coast goods is a brand created for instagram and etsy that sells custom artwork and craft goods online. 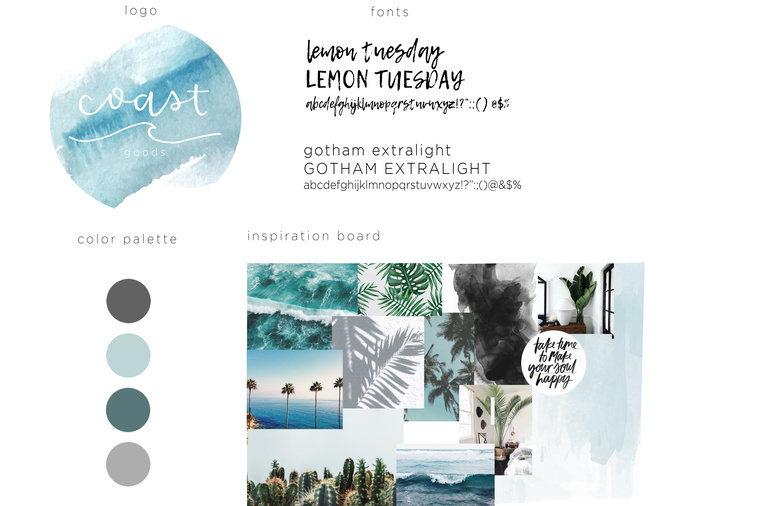 i created a logo and an inspiration board, which shows the colors, fonts, and feel behind the brand, and demonstrates the direction that this brand will head visually. in addition, there are business cards, product tags, and visuals of how the brand will appear on instagram and etsy within mobile platforms.